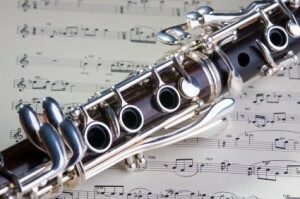 As a beginning clarinet player, it is nice to have some original and good-sounding pieces of music at your disposal, that not only help you practice your technique, but already very soon make it possible to show off the sweet sound of your clarinet to your sympathetic audience. 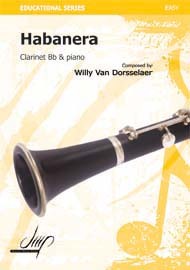 Belgian composer Willy Van Dorsselaer wrote a great deal of clarinet music for starters. His compositions also feature on the exam list of many clarinet teachers for their young students. Belgian composer Willy Van Dorsselaer (°1918) has been living and working most of his life in Colmar (France). After his studies at the conservatory, he has been an active performing clarinet player for several years, but he was also an excellent clarinet teacher at the Colmar music academy, where he held an executive position at the same time. He composed and arranged an impressive list of prize-winning pedagogical works for the clarinet and other instruments, amply showing off his love of music. With attractive melodies and rich harmonious accompaniments, he is able to enthuse even the younger players. Many of Willy Van Dorsselaer’s works were published by Digital Music Print (DMP) in Antwerp and quite a number of them are already available in our library for digital download. So pick, click, pay, print & start to play some Willy Van Dorsselaer of your choice ! Welcome to our brand new Clarinet Music Blog! We will announce here our new articles, important new pieces of clarinet sheet music, free downloads. Please feel free to comment, or to send us tips on how to improve this service. This blog, site and sheet music library are made for you!